Would it be for residential or commercial use, your heating and cooling system is a delicate piece of machinery. It is sophisticated, as well. Unfortunately, both performance and energy efficiency deteriorates until you realize that replacement is already required. If you want your heating and cooling system to work efficiently, call our professionals at Blue Air One Heating &Air Conditioning today. Let us handle your system maintenance across Linden, Clark, Westfield, Scotch Plains, and Fanwood, NJ. Running your heating and cooling system efficiently while extending its lifespan by up to 30% is possible with regular preventive maintenance. There is a great deal that we can do to help you enjoy the benefits of a reduced energy bill, enhanced indoor comfort, and longer lifespan for your unit. Our service includes annual system inspection and check-up, same-day repair, and expert advice on how you can take good care of your unit. Here at Blue Air One Heating &Air Conditioning, our customers in Linden, NJ and surrounding areas are our number one priority. We can fix your heating and cooling problems using our top-notch services. 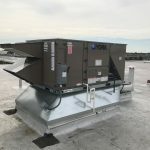 Would it be maintenance, repair, replacement, installation, or other concerns that relate to heating and cooling, nothing compares to the services offered by our professionals. With over 15 years of experience in our craft, we can address and resolve your issues with 100% satisfying result. 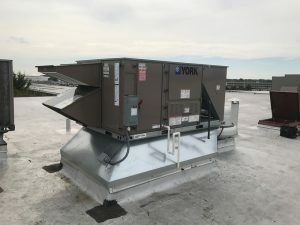 We give expert solutions to HVAC issues with brands like York, Goodman, Slant Fin, Rinnai, Bradford White, Burnham, Honeywell, DiversiTech, Friedrich and more. Call us now!